At that age, I had no idea how or if or when it would happen. But years later, it came to fruition. And it all started with lights . . . literally. This is a ceiling full of studio lights. You may be asking, “What does a ceiling full of studio lights have to do with anything?” And that would be a valid question. Believe it or not, 20 years ago, those lights are what inspired me to become who I am today: a person who loves putting people in the spotlight, so others can learn from them and change their lives as a result. It’s what led me down the path to becoming an award-winning TV host and producer, publisher, and media coach and strategist. But when I first saw those lights, I had just booked my first local television show gig. 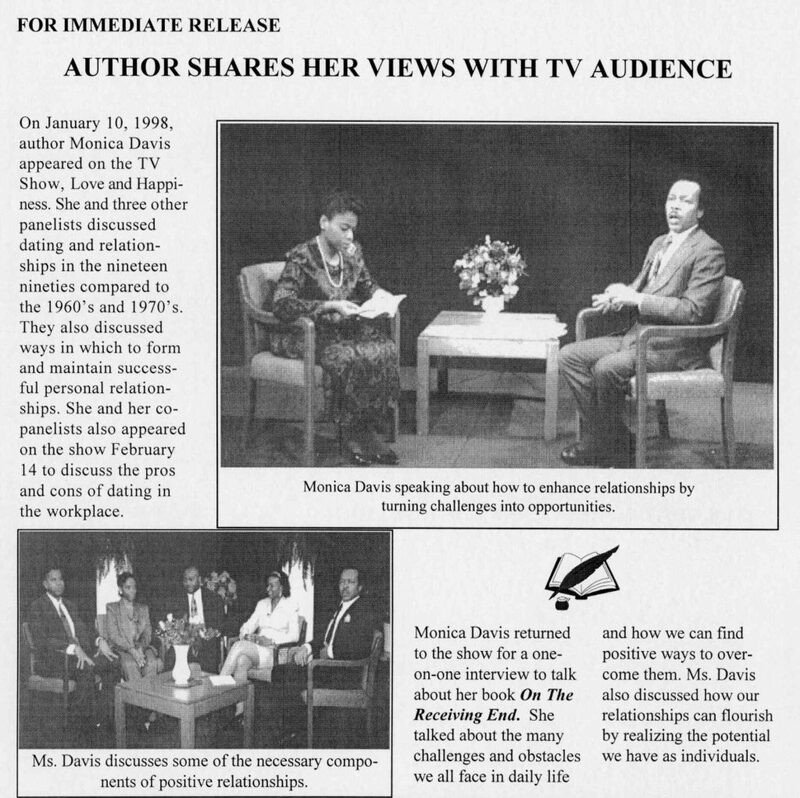 I was a first-time author, waiting in the television studio to do my very first interview. 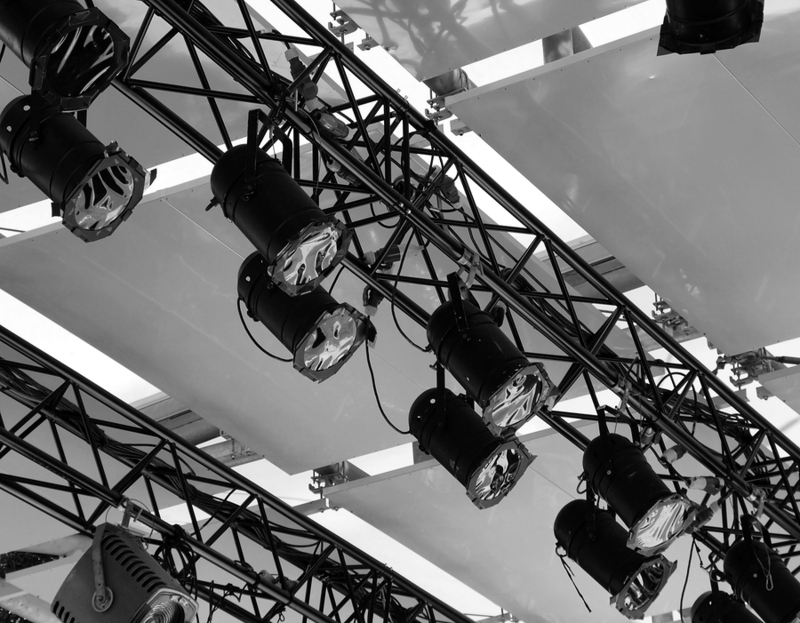 And as I watched the production assistant overhead work on the lighting, a world-changing thought came to me: lighting is one of the most important elements of any show. The right lighting can make anyone look like great. It shifts the perspective of the people sitting at home watching the show. It determines where our eye goes, and our impression of what we see. At that single moment, it dawned on me that I’ve always wanted to shed light on people who are doing amazing things in their communities, around the world, and in their own lives. I always loved helping people succeed and overcome their challenges, and inspiring them through the life experiences of others.
. . . And, as they say, the rest is history. My experience with the studio lights marked the beginning of an amazing journey. But the path was long and hard. The reality is, things didn’t happen easily. I didn’t have a “big break” and suddenly rocket into the big leagues. And my one TV appearance didn’t mean all of a sudden, the masses cared what I had to say. Not even close. My first interview was thrilling, but alone, it was never going to carry my career. I knew enough to know that . . . but I had no experience with marketing and had no idea where my next sale was going to come from. I needed more exposure, and I needed to find a way to share my message with others. 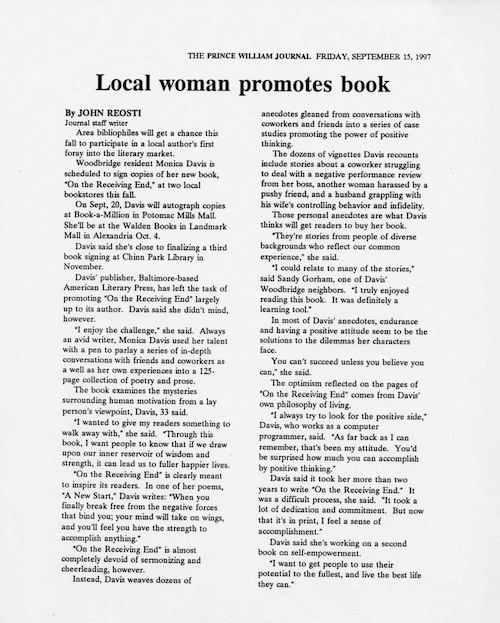 I’d heard of “publicity,” and it seemed like a reasonable thing to do, so I scraped together the profits from my first book and hired a publicist. Unfortunately, the engagement didn’t last long—the huge monthly payments quickly got to be too much, and we had to break it off. That was the paradox. I needed publicity to generate my livelihood, but I needed money to hire a publicist. And so, my only option was to take matters into my own hands: I set out to learn everything I possibly could about the media and how it worked. Looking back, I’m grateful for being unable to afford my publicist because it forced me to realize that if I let someone else do the hustle for me—if I let someone else create my contacts, book my interviews, manage my brand, and determine the audiences I spoke to—then I would never be able to truly stand on my own two feet or understand media on my own. But, at this time in my life, I was timid and shy. I wasn’t sure if what I had to say would make a difference . . . or if I could even explain what I actually meant when the camera was rolling. I was terrified that I wouldn’t be able to connect with my audience, but I knew I had to find a way if I wanted to fulfill my passion and vision for changing lives. 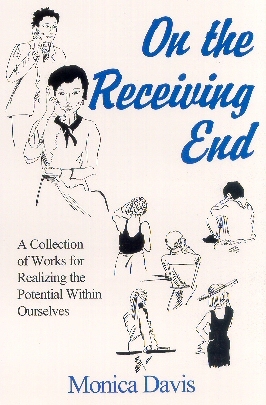 I stepped out of my comfort zone and, with a little faith, I began contacting anyone in the media who would talk to me. I asked question after question about how things worked, how they chose guests, what they were looking for, how the media helped to build brands, and most importantly, how I could help them achieve their goals. Across multiple years, I slowly implemented what I was learning into my own business. I made more mistakes than I could count, but the wins started to add up as well. Then, in my very first press release, I shared a story about a defining moment in my life when I had been bullied as a child. I discussed my real-life observations of relationships and my passion for wanting to help people who were “on the receiving end” of negative actions. I had no idea how people would respond . . .
. . . 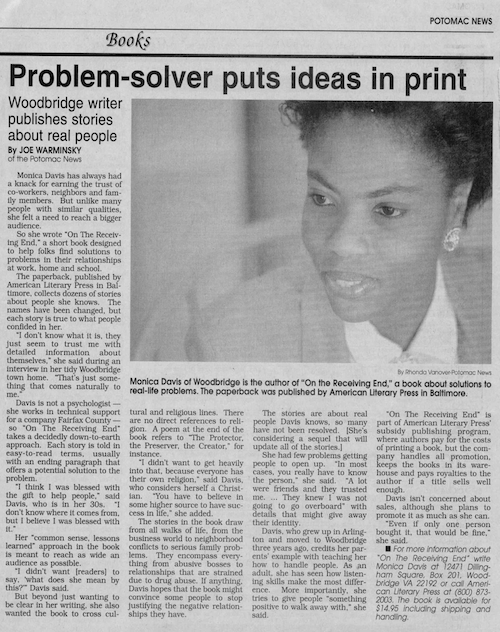 But when my press kit was released, it inspired several local newspapers to write articles about me and my first published book. The response was better than I could’ve ever hoped. It was the first time that I realized I could do this—that sharing my story could really change lives, including my own. And even more than that, I realized then that everyone has a story to tell and that I could help them share it with the world. One of the biggest takeaways during this time in my life was that consistency and patience are key when seeking publicity. Like with many things in life, the more you put into it, the better results you get . . . but only if you had a solid plan. You can’t throw spaghetti at the wall and see what sticks, and you can’t do random things here and there and expect stellar results. As I continued to grow, I became more and more sure that I wanted to work in the media. It was the perfect industry to help me achieve my vision of reaching and inspiring the masses—the same one I had when I was just six years old. One opportunity led to another. And once I had a solid plan running, I started to see benefits almost immediately. I still remember it like it was yesterday . . . There I was, in that little studio I mentioned earlier, about to be interviewed for my first book. Excited and nervous. Unsure what lay ahead. It took tons of hustle to get myself on that small studio stage, under the warm lights, but at that moment, it felt that everything was going to be worth it. To my delight, as soon as the interview aired, I started to see the benefits. That first TV interview served as a stepping stone, helping me land features on larger and larger network affiliate news shows. It was like the snowball effect. And before I knew it, I was getting invitations to book signing and speaking engagements. 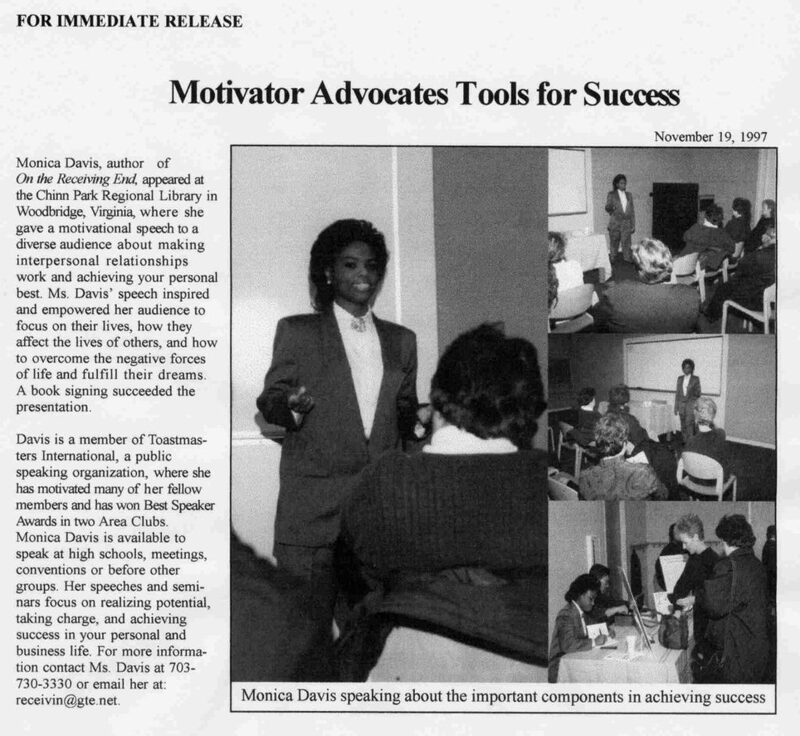 The publicity of my features in TV shows and newspapers directly led to my first speaking engagement as a recently published author. It was a tiny event at a local library and going in, I had no idea what to expect. I was a little shy about speaking in public and anticipating it being a relatively small affair. But many more people showed up than I ever expected. I received three standing ovations and sold every book I brought to the event—about forty books! Forty may not seem like a lot now, but as a first-time author who was just starting to generate some traction, it felt like a major accomplishment. The snowball continued to roll, and eventually I was the producer and host of my own award-winning television show: Extraordinary Everyday People. I may have been the host, but the show wasn’t about shining the light on me. As the title suggests, it was part of my vision to bring others into the spotlight and allow them to share their experiences with a broader audience and change the lives of those in their communities. Even though it wasn’t for me, the wheel of the media never stops turning, and my brand continued to accelerate at an increasing rate. Every week, I spoke directly to the households of more than 5 million Americans. My credibility and influence skyrocketed, and I was able to seize that momentum to launch my magazine, Exceptional People Magazine, which today still reaches a worldwide audience and features top world leaders in various industries. As a journalist, I have interviewed hundreds of successful entrepreneurs, top CEOs, political leaders, and other field experts, and given them a platform to share their life experiences with larger audiences. As a citizen of the world, I’ve shed light on more than 100 non-profit organizations and humanitarians through donations and publicity and other support. These are people who have given up everything to serve those in need, and I cannot imagine a more positive message to spread than that. Because of my experiences, today, I am fortunate enough to be friends with some of the most iconic and influential people in the world. Millionaires, billionaires, professional sports players, CEOs of Fortune 500 companies, and Hollywood legends. And you know what the most fascinating thing I learned throughout all that was? There’s a common thread among all the highly successful people I know: without exception, every single one of them is an expert at using the media to build authority and influence. All that I have achieved didn’t happen by accident or by being in the right place at the right time. It was an intentional, long process that I was willing to undertake to develop a system that consistently works for me. For the past few years, I’ve had the great privilege of sharing that system for media success with entrepreneurs, subject matter experts, consultants, and many other people who want to share their message with the world and positively influence their industry. They, too, are getting extraordinary results with my system.
. . . And they don’t have to wait years or spend tons of money figuring out they don’t need a publicist to get there! My clients and I are living proof that incorporating publicity into your marketing strategy can ultimately change your life in ways you never imagined possible. All you need is the willingness to take a leap of faith and do whatever it takes to step out into the lights.